IDLC Finance Limited Job Circular 2019. IDLC Finance Limited the best financial brand in the country focus on quality growth, superior customer experience and sustainable business practices will recruit vacancies for Various Posts for the year 2019. IDLC New Job circular 2019 published on different dates (See the Particular Job Circular for Details). Interested and eligible Bangladeshi Citizenship candidates are requested to Apply Online for the vacant positions. Deadline of Online Application on different dates (See the Particular Job Circular for Details). IDLC the largest multi-product multi-segment Non-Banking Financial Institution in the country. As one of the most respected financial brands in the industry, IDLC Finance Limited holds a strong and diversified footing in Corporate, SME, Retail and Capital Market segments. IDLC Finance Limited is the largest financial institution of Bangladesh. It has 39 Branches in Bangladesh established in 1985. IDLC Finance Limited, the largest non-bank financial institution inaugurated its 39th branch in Faridpur on April 22, 2018. With a commitment to serve the people with better financial service and contribute significantly in the socioeconomic development of the country the company has started its operation in its new branch. As a progressive and responsible brand IDLC has been creating new milestones of achievements. Today, IDLC marks its presence over 20 cities, represented by 39 branches and booths with over 1400 employees, serving over 45,000 clients. Successful local entrepreneurs were awarded by IDLC for their mentionable contribution in the local economy. IDLC also took the initiative to promote some entrepreneurs in different media to inspire the upcoming entrepreneurs. IDLC believes this initiative is very essential for the economic development of the country. IDLC is credited with being the most innovative financial institution of the country partnering in many landmark projects as well as introducing many financial products which were first of its kind in the country. Today, IDlC is a diversified financial institution with 39 Branches catering to Corporate, SMEs and Retail market segments. In line with its business expansion and diversification plan, IDLC now invites applications from highly motivated and talented individuals to fill up the following positions. 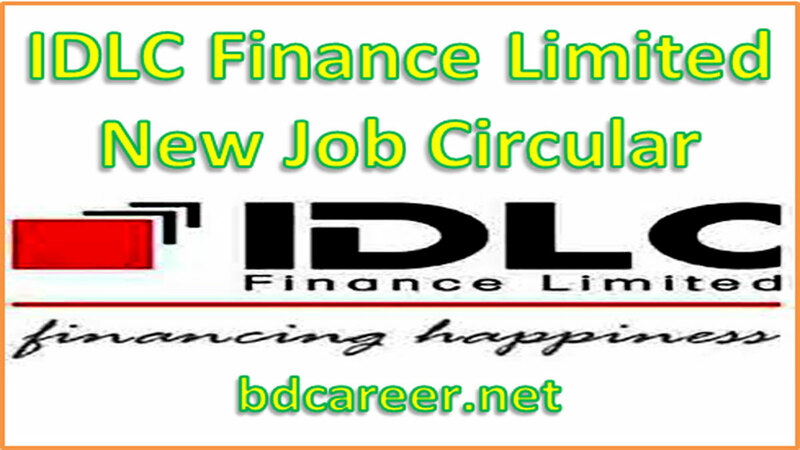 Job Title: CLICK HERE TO CHECK AVAILABLE VACANCIES OF IDLC FINANCE LTD. If you are interested in taking this challenge, then please ‘Apply Online‘ in www.bdjobs.com OR IDlC FINANCE LIMITED for the vacant positions. Deadline of Online Application on different dates (See the Particular Job Circular for Details). You may also apply by www.idlc.com by mentioning the position you are applying for. Or find Head of Human Resources,IDLC Finance Limited Address : Bay’s Galleria (1st Floor), 57 Gulshan Avenue (CWS-A-19), Gulshan-1, Dhaka-1212. Web : www.idlc.com Business : Multiproduct Financial Institution.